Debutant Justin Harding of South Africa was one of the players who had set the target at three under par early in the day and for a long time, it looked like there would be a highly congested leaderboard as a nine-way tie for the lead developed. But four birdies in a row from the 12th hole from Koepka moved the three-time Major Champion to six under par and into a two-shot lead. DeChambeau’s incredible finish saw him catch his fellow American, thanks in part to a wonderful second shot on the 18th where he was only denied an eagle by the pin flag. 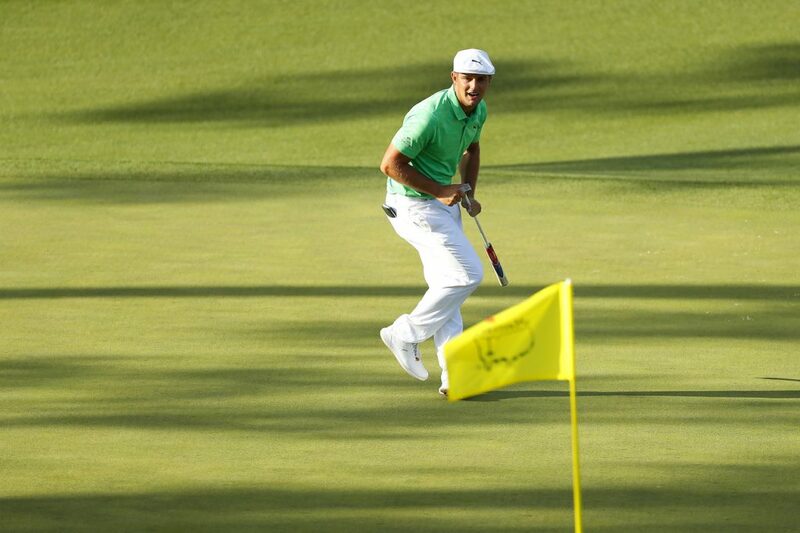 He signed for a 66 – his best round at Augusta National – and Koepka parred his way home to record the only bogey-free round of the day and share top spot.